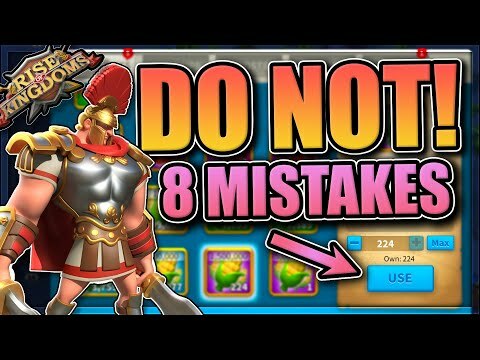 Today let’s talk about the most common mistakes new players usually do while playing Rise of Kingdoms. Hopefully after reading this guide, you can grow up a lot faster in the game by avoiding these deadly-simple mistakes. A lot of new players, especially in the early game, as soon as they get the resource tokens (screenshot below), they use them up because it feels so good to see the total number of resources increased. The problem here is that the enemy can come along and scout your City Hall, they can see exactly how many resources you have and then they can try to raid your City Hall and steal your resources. 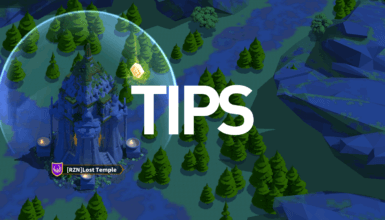 Thus, keeping your resources in the token form is the best way to protect them from the enemies. Those are the resources you’ve worked very hard to get so do your best to protect them! Tip: One thing you can do to move the resources in your Storage to the token form is to go to the Courier Station when the Mysterious Merchant is available. From here, you will always be able to spend resources to get resource tokens at discounted prices. If you level up too many commanders, a little bit each, at the same time, you will be pretty weak comparing to anyone who focuses on upgrading 2 main Primary Commanders only to high levels. If you are planning to use a commander as the Secondary Commander, there is no reason to level him/her past level 30. At level 30, you can unlock all 4 skills of that Secondary Commander. The Secondary Commanders only only contribute the skills, not the talents they have, when battling. This comes up with the two mistakes mentioned above. 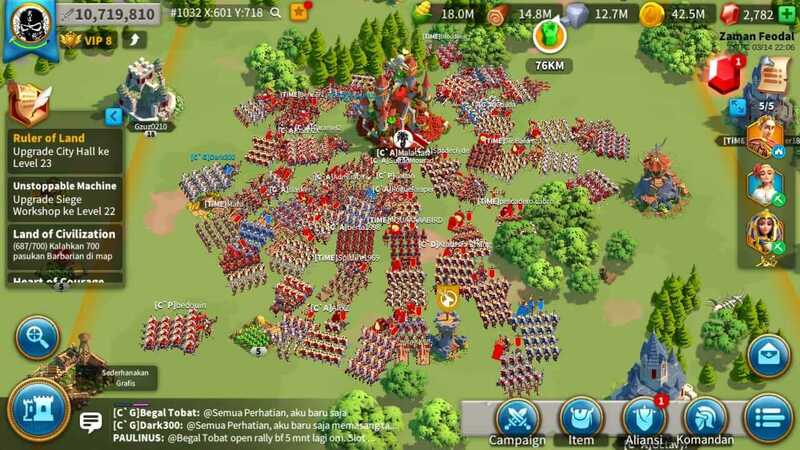 The main reason why it matters so much to level up your 2 Primary Commanders in Rise of Kingdoms at the beginning is that as they get leveled up, their troop capacity goes up a lot. You should also focus on the special Sculptures which can be used on any Commander. That way, you can unlock their 5th Expertise skill very fast. If you have 2 builders, at least one should be working all the time. If you have a military building idling, you should training troops with it. 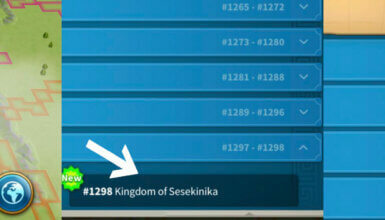 If your Academy is idle, do any research! If you have an empty Commander queue, go farming Barbarians or resources. The resources required for those tasks are not really the main point. They are not high at all comparing to the time required to finish the tasks. Time is the most crucial factor when it comes to upgrading/building stuffs. At the beginning, a lot of players do not want, or are too lazy, to join an Alliance. Or they are not really sure which Alliances are good for them so they usually decide to held off for a while. But, the point is, you don’t have to find a perfect Alliance off the bat. Any Alliance would be great for you at the beginning. Also, you don’t have to stay in the same alliance all the time. It is a very common mistake that people think they have to stay in the same Alliance for wrong reasons. You can just leave and find a better place for you whenever you want. As long as you do not do anything wrong. If the current Alliance does not fit your activity level, your power, your language or your routine well, it is totally okay to leave and find a better place for your City Hall. You shouldn’t feel bad about moving to an Alliance that fits your schedules, your interests. For example, it is totally okay to upgrade your small buildings all the time but the City Hall should always be the top priority. 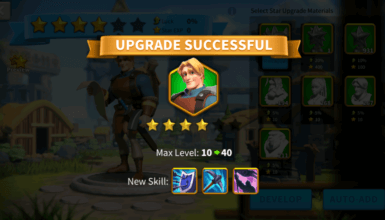 Before City Hall level 22, you should focus on upgrading the City Hall first and upgrading all of the prerequisites accordingly. So you should avoid leveling up all of the buildings evenly or rather than leveling up a whole bunch of buildings that aren’t required for the city hall. And while your City Hall is being upgraded, which takes a lot of time, you can start upgrading the other smaller buildings. For example, let’s talk about The Mightiest Governor event. is going on and I just want to show you if I take a look at the rewards for overall rewards. The Top 10 have pretty solid rewards like 20+ Sculptures of El Cid, which is pretty good and there’s some other stuffs like Gems, Speedups and Chests too but the amount of effort that it takes to be in that top 10 is absolutely insane. You have to spend tons of resources and speedups and you have to play the game basically non-stop for for the whole time in order to get to top 10. And at the end, If you’re not gonna be in the top 10, the rewards drop off super fast and you would have been wasted tons of rewards and efforts. In short, do not do the event aggressively unless you really think that you will be in the top 10. Otherwise, save the resources until you actually think that you can make a push for one of those top rankings. Or at least you can use them for other important upgrades. Hey guys this is Chisgule Gaming! I love playing RoK and love doing RoK strategy video guides every day. Follow my Channel to see more interesting stuffs!